GST is revised on several items at the tax council meet on 21 July 2018. According to the revised GST, Sanitary napkins is exempted from GST. This would mean there would be no input tax credit available, even though inputs in the production of the sanitary napkins are taxed. Many had campaigned against GST on sanitary napkins since last year. Sanitary napkins were taxed at 12 per cent tax under one year old GST regime. 18 per cent to 12 per cent – hand bags including pouches, purse and jewellery box, aluminium art wares, hand operated rubber rollers ,bamboo, brass kerosene pressure stove,wooden frames for paintings etc. 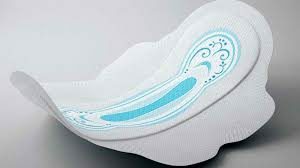 Union Minister Smriti Irani tweeted – “Thankful to GST Council and Minister @PiyushGoyal for exempting Sanitary Napkins from GST ;a welcome step towards encouraging menstrual hygiene among young girls and women. #GoodandSimpleGST “. Also, Actual bill of hotel stay above Rs 7,500 will attract 28 percent GST. Actual hotel bill below Rs 7,500 will however attract only 18 percent GST. The Simpler return filing process is too approved. Quarterly returns for business turnover up to Rs 5 crore instead of monthly filing. However , tax payment will be monthly. Nearly 93 percent traders and small businesses will get benefited from this. Exemption limit for traders in Assam, Arunachal Pradesh , Himachl Pradesh, Himalaya, Sikkim increased from Rs 10 lakh to rs 20 lakh. This is sigh of relief for the middle class and poor families. The next GST council meeting will be held on 4 August.